What is your mountain biking background? It was a bit hard for me to get into it at first because I knew nothing about mt biking at the time and I didn't feel confident in the trails. Two years on and I completely love it. I go for a ride whenever I can and I am keen to do more mountain biking road trips. 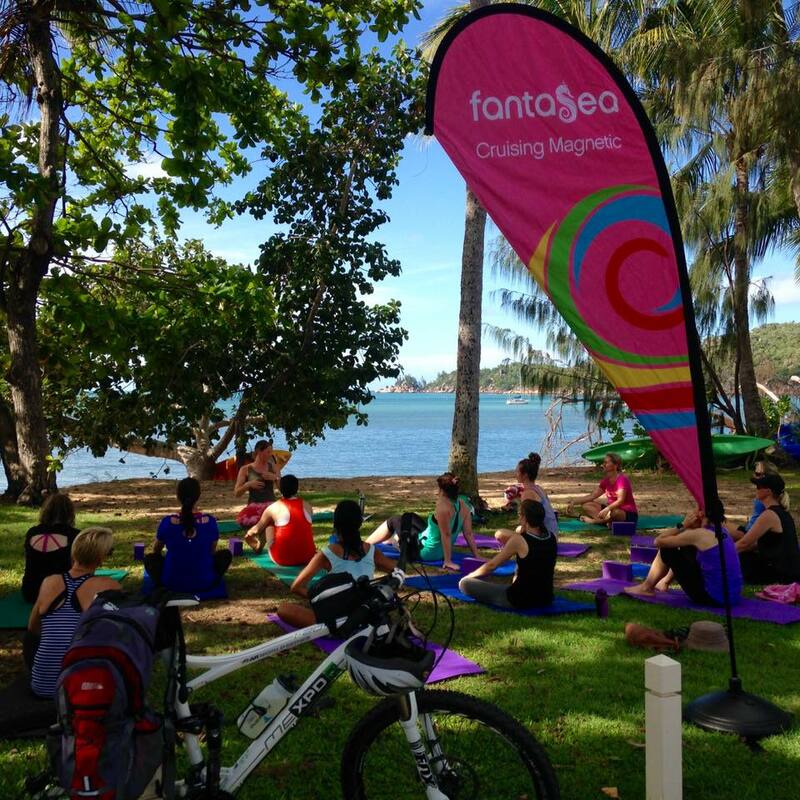 What made you decide to come to the island for our women's mountain bike retreat? I really wanted to learn some skills to become a better and more confident rider but what really attracted me was the supportive environment and holistic approach offered. What bike to you ride? What do you do when you're not riding your mountain bike? How long have you been in Townsville and what brought you to the Ville ? I moved from Sydney 4.5 years. I came to study zoology at JCU. Do you have any adventures plan in the near future? Do you have a dream mountain bike? 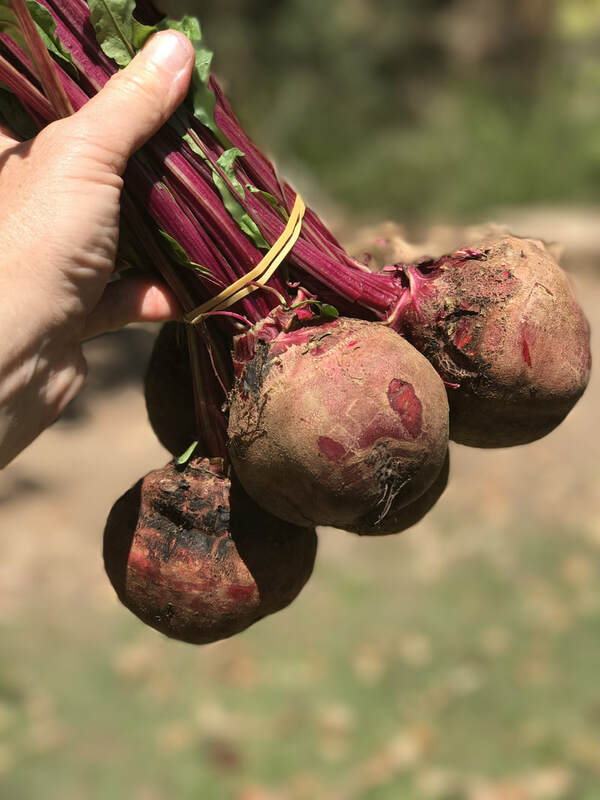 Beetroot juice, yes it's an acquired taste, yes it can turn your wee purple but it can also lower blood pressure, can reduce systemic inflammation and is high in nitrate which helps reduce the oxygen cost of exercise. Bonus!! It works best for higher intensity, shorter efforts of 1 - 10mins and can make you faster by about 3%. Optimal dose is at least 440mg for a 70kg person which equates to about 300-500ml of beetroot juice or one 70ml concentrated commercial beetroot shot. When and how did your love of food start? Probably sparked a serious interest in high school when I had to take over the cooking duties when my mum got sick, but stems from a long line of feeders and two very amazing Grandmothers from different backgrounds who could cook amazing food and a mum who always put the love into her food. 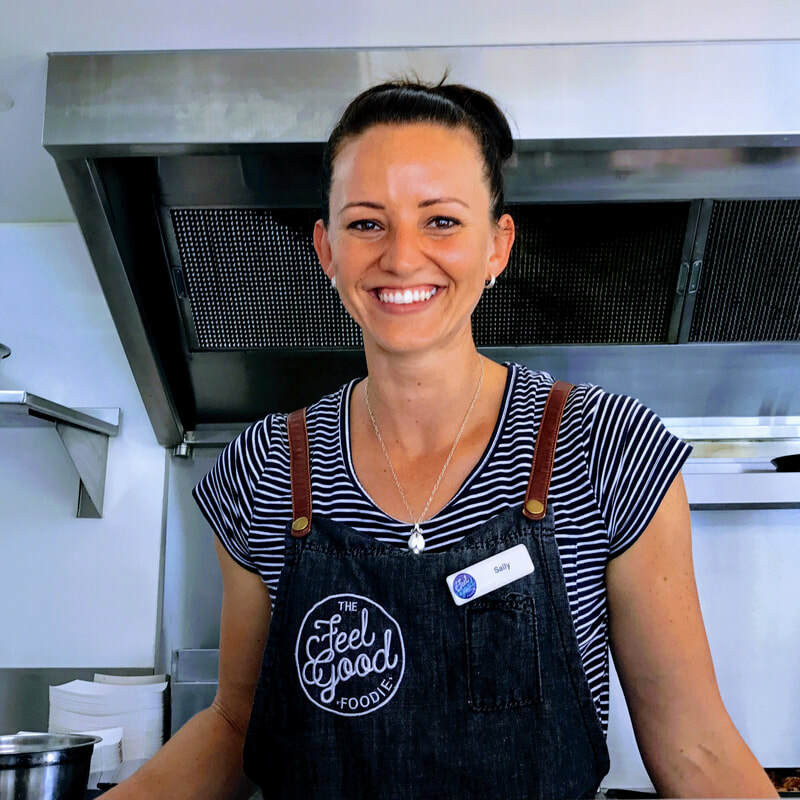 How did you get involved in the food business? 12 years ago there was a franchise business opportunity I bought into with my Dad, that introduced me to the food game and taught me structure in a food business. A fair way into it I started looking around at other options of different food businesses I could be more creative with and put my own stamp on. What made you decide to get into the food truck game? I rarely watch movies, but any TV shows or movies that involve a food story have me hooked. I just happened to be watching "chef" one Sunday afternoon and it suddenly flooded me with ideas and sparked a flame (as cliche as that sounds) that this is what I wanted to do. The excitement, the freedom and the never ending opportunities really grabbed me. 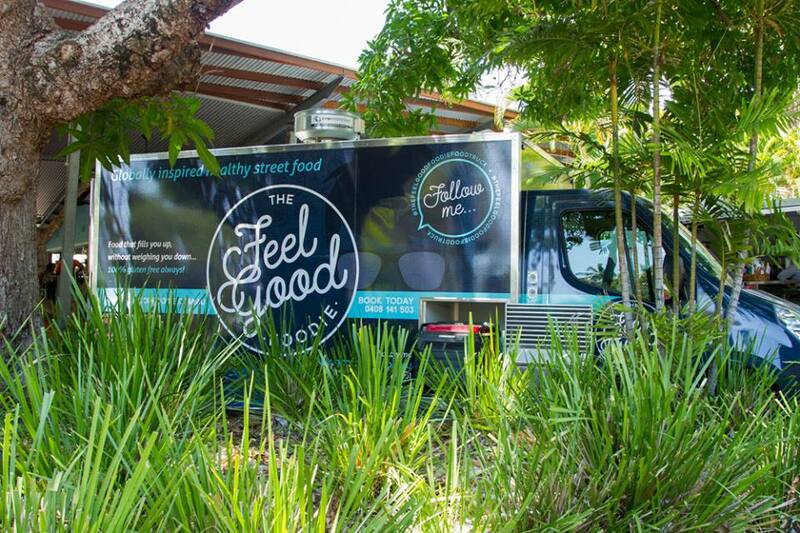 What is the philosophy of the feel good Foodie? Our food will fill you up without weighing you down. It’ll fill your belly and make it happy! To Cook is to love! What's the best thing about having a food truck? Working outdoors with my team and serving our customers fresh food that is good for them and that I'm proud of. I enjoy mingling with different people from all walks of life and convincing them that healthy food can not only be good for them, but can also taste delicious. I also look forward to pumping out our food at local events - the rush of the busyness excites me and our team works exceptionally well together, makes me very happy and proud. What is your favourite food to cook at home? Anything for loved ones. Our family favourite is our mum's spaghetti bolognese. Everyone has a different recipe for this classic but ours is the best! Ha ha!! 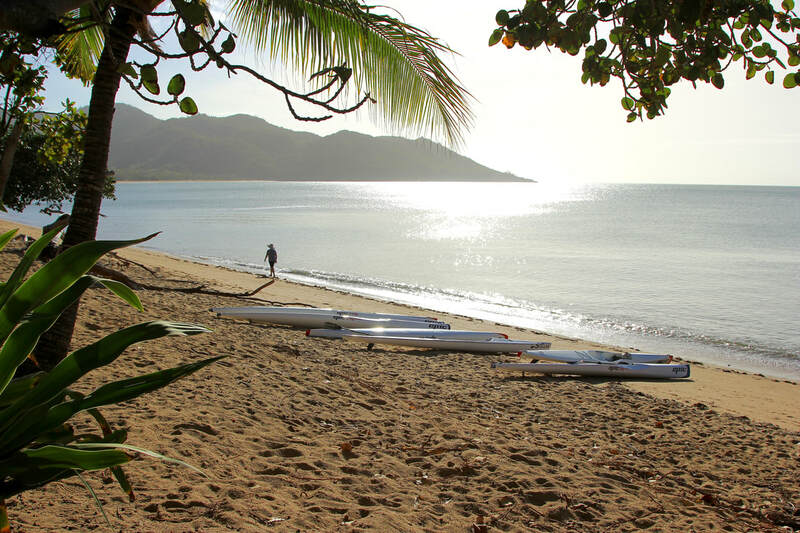 ​Magnetic Island, Tablelands or The Whitsundays - hard to pick! I love the water, but love the smell of the tablelands and the lushness of the land up there. "Steve was just wonderful and is definitely one of my favourite people now. I loved how genuine he was and how generous he was with his time and encouragement. Still seems so amazing that someone like me could have the opportunity to train with him. " I never considered myself a runner. The annual cross country in high school was the bane of my life. And I’m pretty sure I was the bane of my PE teacher’s life. Then in 2009, I decided to take up running to get fit for a trek in Peru. A friend had a mums’ running group that met after school drop off so I joined. They had a motto “Run hard, eat cake”. That was a concept I could understand. I still remember running my first 7km without stopping. I’d only managed 3km before that. It felt amazing. So even after the trek, I kept up the running. Over the years, I’ve dipped in and out a bit. I always seem to need some sort of goal to aim for to motivate me to get out there. ​I’ve never discovered that running addiction that some people seem to develop but I do love how fit it makes me feel. It also lets me eat a lot of chocolate. 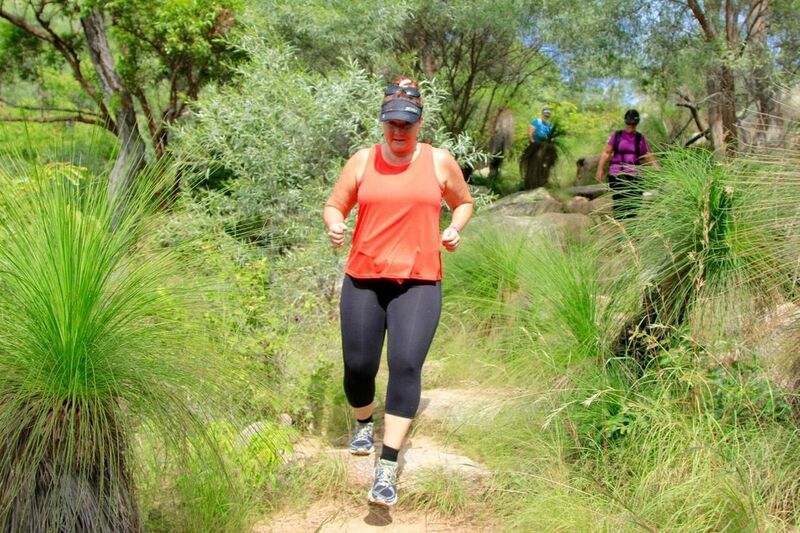 What made you decide to fly up from Melbourne to join us at our Mona running retreat? The retreat came up in discussions on Facebook at a time when I was struggling with injury and feeling a bit despondent. I thought I could use all the help I could get and it was perfectly timed a month before the marathon so it seemed like a good idea. It took me about two weeks to get up the nerve to put it to my husband and he just instantly agreed I should go! Besides, it was bloody freezing down here. A bit of warmth was a novel idea. Normally I would think these things were for serious runners and would never have even contemplated attending but given it was being run by you, I felt safe and welcome. I knew you’d look after me. What were some of the highlights of the weekend for you? Gosh, where do I start?? One was definitely meeting Steve Moneghetti. He’s just the most genuine, generous person who never made me feel like a wannabe in the presence of greatness. Professor Louise Burke cut through all that low carb, high carb, high fat, low fat, eat like a caveman guff that seems to fill the dieting airwaves these days with her no nonsense presentation and as someone who loves sourdough bread, I’m immensely grateful for her research and insights. Dr Jo. What can I say about Dr Jo Lukins that would do her justice? The amazing thing about her advice is that I can already see it flowing into other parts of my life. She has literally changed my life. My cabin buddy and new friend Rachel – we had a lot of laughs! There are so many more I could list – the whole weekend was just one massive gift. 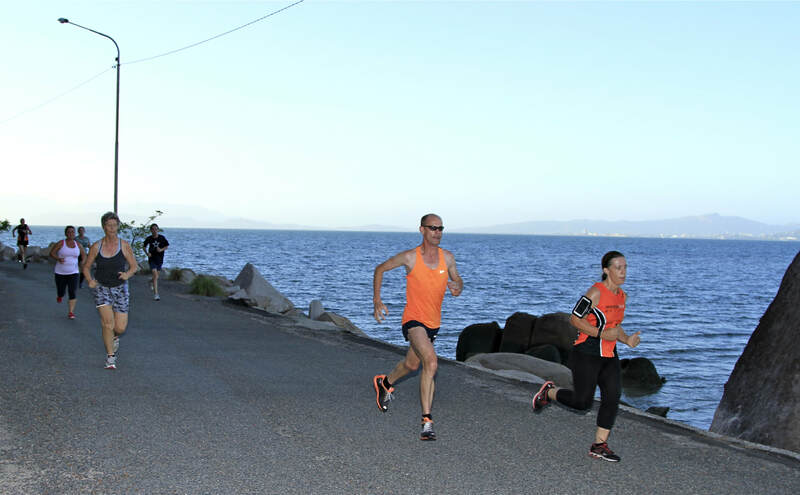 What has changed in your running and also in your day to day life since coming to Maggie Island? In my running, I’m now faster and stronger. I set a PB for 10km on the Sunday of the retreat and then the following Sunday at home, I did it again. The number one thing I came away with from the weekend was the ability to say “I am a runner”. That might seem ridiculous but for a long time I have struggled with the voices in my head telling me I’m not a real runner. ‘Real runners find marathons difficult, you’ve haven’t got a hope’. Sometimes the voices would be so strident, I’d get quite distressed. Have you ever tried to run and cry at the same time? Messes with your breathing and you can’t see where you’re going. Tricky. During one of the sessions on the retreat, those same voices decided to stick the boot in again and by the end of the session I was almost in tears. Then we had the session with psychologist Dr Jo Lukins and she helped me see what was happening. I also got the opportunity to share and I think that was instrumental in healing my mind and heart because I received so much support from the whole group. I’m incredibly thankful. The most wonderful thing is that it has flowed into other areas of my life where I’ve also struggled with the voices telling me I’m not good enough. I feel stronger and have a newfound belief in myself that is helping me be the best I can be in all sorts of ways. You have your first marathon rapidly approaching!! Has a marathon always been on your bucket list? What made you decide to challenge yourself to run a marathon? Gosh, no! I only put a marathon on the list about a year ago. I’d read a blog post about the Chicago marathon and it sounded amazing and it’s in October which is when I have my birthday and a thought bubbled up that I could run it for my 50th birthday. Chicago turned out not to be possible due to family circumstances but as luck would have it the Melbourne Marathon falls just a few days after my birthday. I’ve always been a sucker for an audacious goal just to see if I can do it and it seemed like a fun (?!) way to celebrate a birthday milestone. 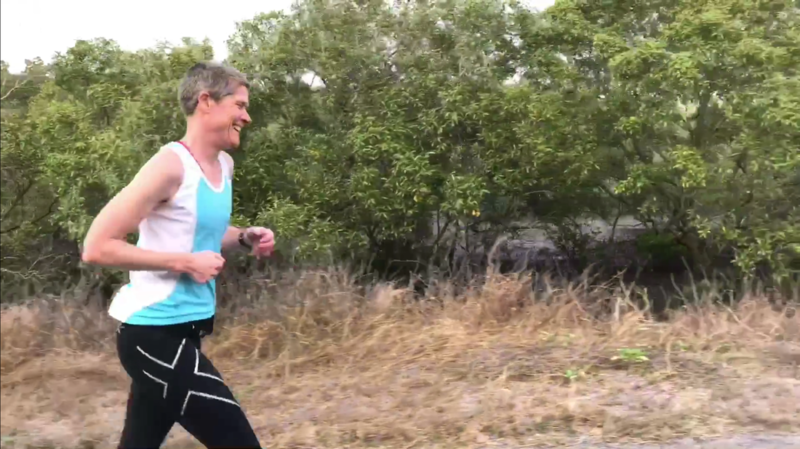 ​I’m also running as part of the Asylum Seeker Resource Centre’s Run 4 Refugees team and fundraising for the ASRC. The glory of finishing a marathon will be wonderful but it will mean more to me if I’ve also helped someone else. What's next on your running agenda? The marathon is just the beginning of the next decade. I’m currently building a Fifties Bucket List. On the list is ‘Compete in an Australian Masters Games’ so that’s next on the running agenda. I want to find a geriatric version of Little Athletics and get back into sprinting with the view of competing at a Masters Games. Who knows? If I work hard enough I might even make it to an International Masters Games. Aim high, I say! I also have my eye on some half-marathons I’d like to do next year such as Great Ocean Road and Surf Coast Trail Run. 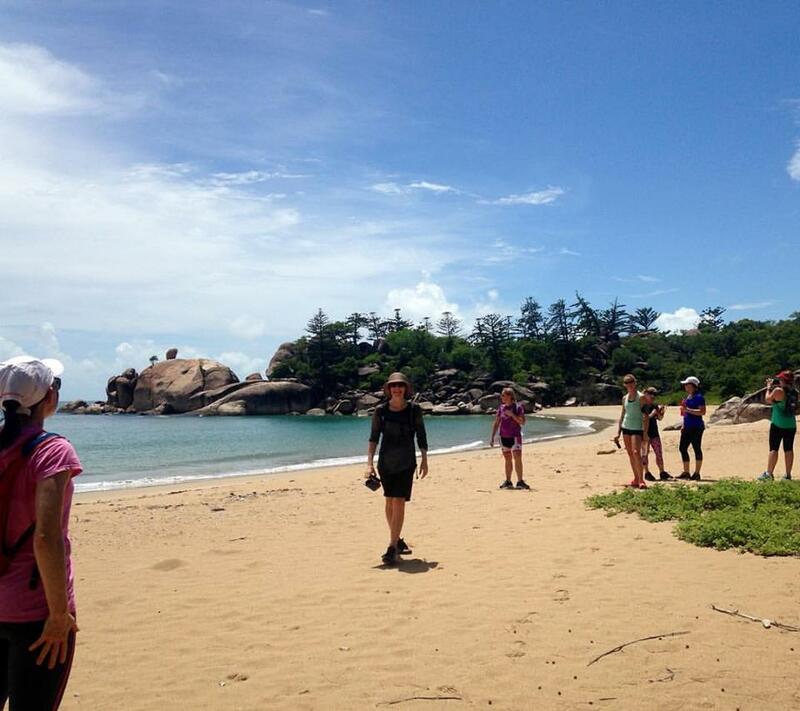 And of course I hope to make it back to Magnetic Island for more running inspiration. Thanks for running such an event. Thanks for looking after me – meeting me at the ferry, the transport, the accommodation, making sure I had what I needed. Thanks for the fun, the encouragement, the laughs, the way you made everyone feel important and helped us all bond so quickly. Steve was just wonderful and is definitely one of my favourite people now. I loved how genuine he was and how generous he was with his time and encouragement. Still seems so amazing that someone like me could have the opportunity to train with him. ​And I think I definitely need to say thank you to Fantasea. If their support is enabling you to run these events, they have my eternal gratitude. Max - you are fairly new to the world of multisport and adventure. What was your background before you decided to get dirty? ​My background in exercise of any sort was non-existent! I had a pretty stereotypical life wake-up call a while back when I realised I was almost 40 and overweight and way unfit, so I thought I’d best do something about it! I started with yoga which was great. A few years later a friend talked me into joining her at boot camp and my sister inspired me to try a couch to 5km running program. Next thing I knew I’d been talked into doing the Taste of Adventurethon on Maggie in 2015. It all escalated quite quickly from there! I’m about 20kg less than what I was and have a lot more carbon fibre and lycra in my life now! You've had a massive year of adventure racing!! Can you even remember all the events you have competed in? And if so ...GO! Yeah the last 18 months have been somewhat busy. The Destination Adventure weekend at the beginning of last year started a pretty hectic ride! 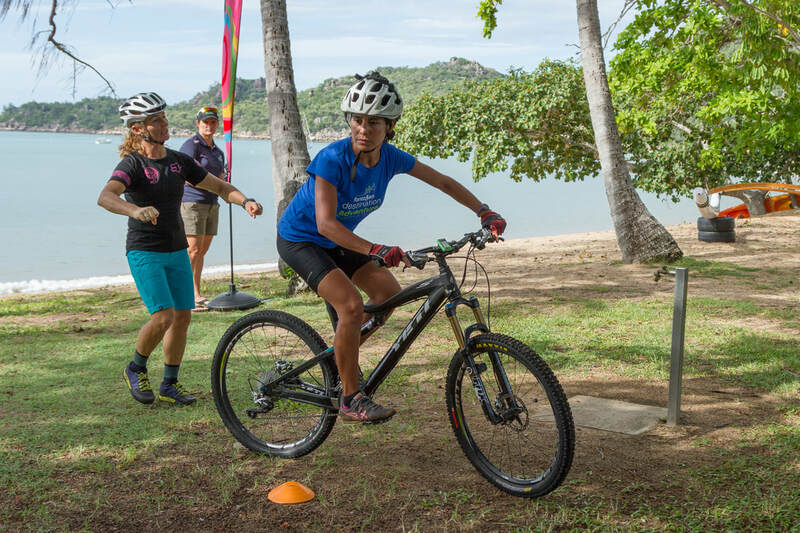 Adventurethon Magnetic Island Enduro in March. 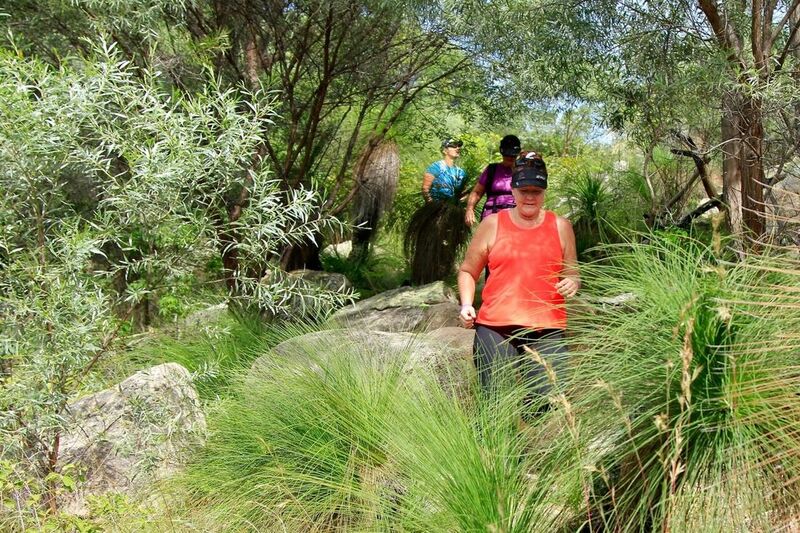 First ½ marathon distance trail run at Alligator Creek with Outer Limits in April. 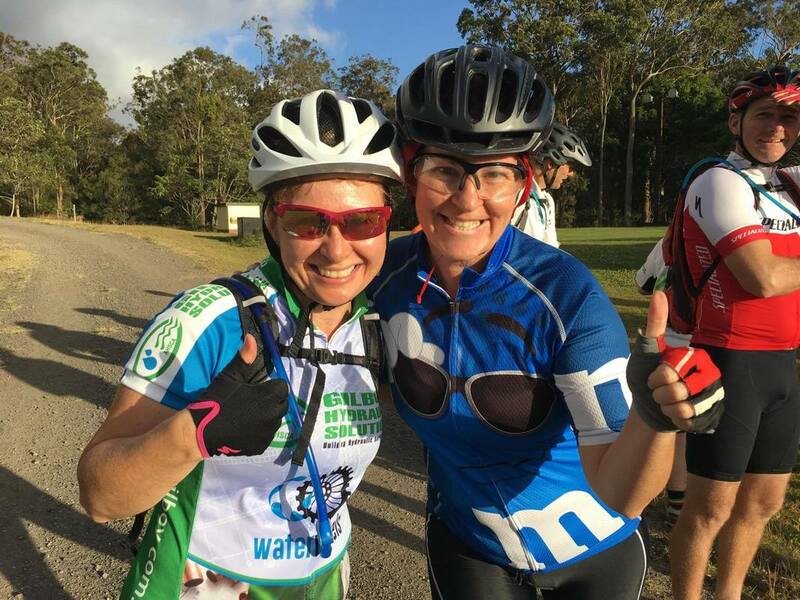 Zach Mack Adventure Challenge near Mackay in May (in a team with my inspirational friend Kim!). 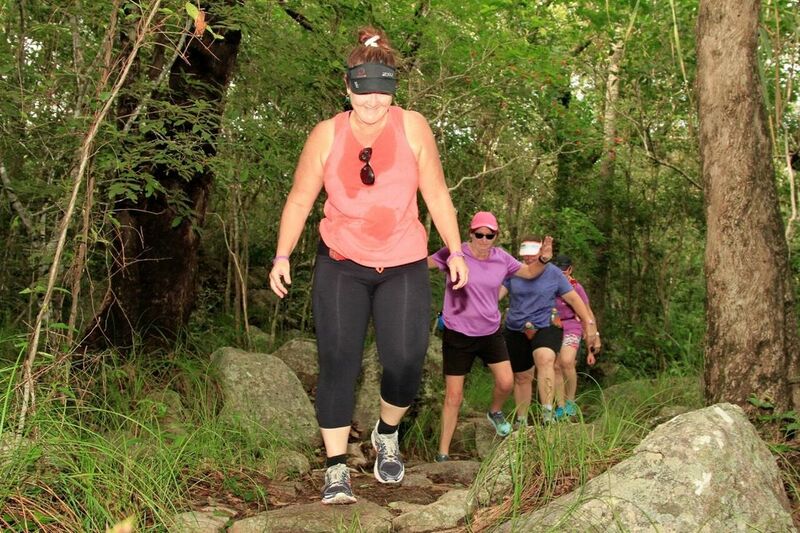 Adventurethon Townsville Ultra distance then Paluma Push Intermediate distance in July. Grin n Bear It Challenge at Atherton solo in August. Ona Mission at Mission Beach in September – long course as a pair with Kim again. A group of us hiked the Kokoda Track in September as well. 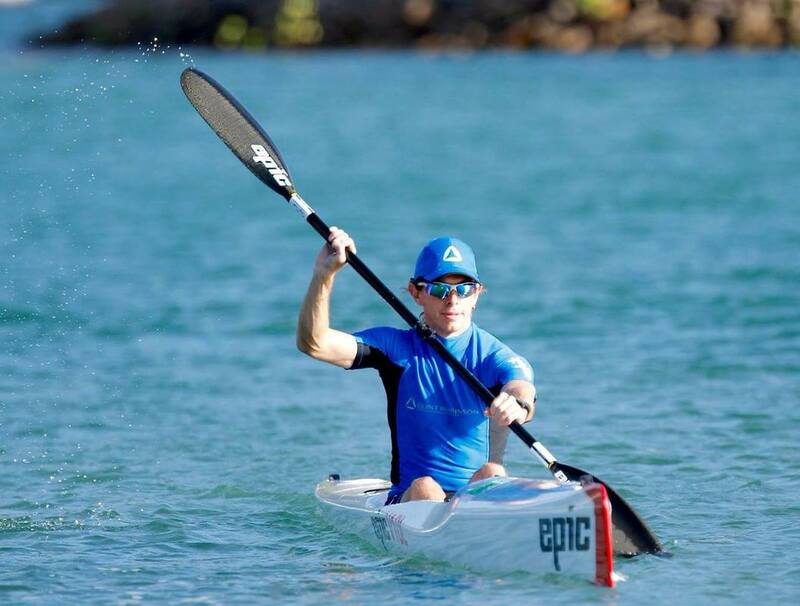 There were a few of the NQ Paddle Series races throughout the year that I participated in including the round the Island paddle in October. Then there were no more competitions til late February this year when the Outer Limits trail run series started up again with the Castle Hill trail run. I ran the 30km+ Thorsborne trail on Hinchenbrook Island with a group of friends in a day in March. Adventurethon Maggie Ultra distance then Alligator creek trail run again in April. 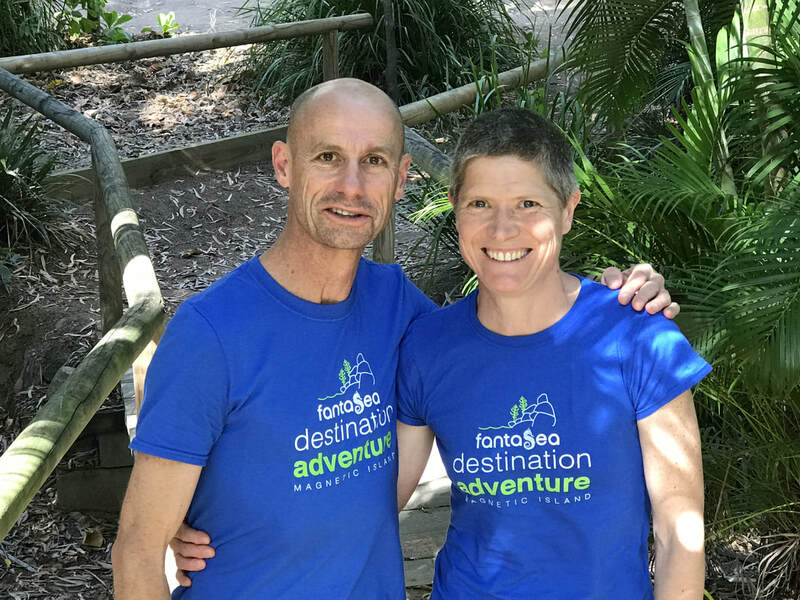 Zach Mack again with Kim and Ultra Trail Australia 50km Ultramarathon trail run in the Blue Mountains in May. Ross River Rush trail run and Spartan obstacle race in June. 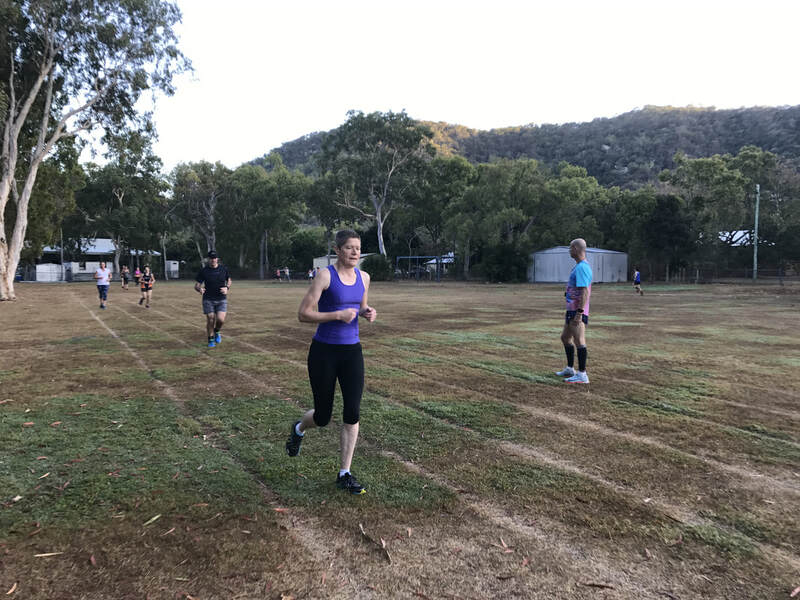 Adventurethon Townsville Ultra + a couple rogaining (orienteering) events including Townsville Tropical Orienteering Clubs Mingela 2 hour event and an 8 hour event up at Mareeba plus Paluma Push Comp course (first time I’ve had the horrible DNF (did not finish) letters after my name…) in July. 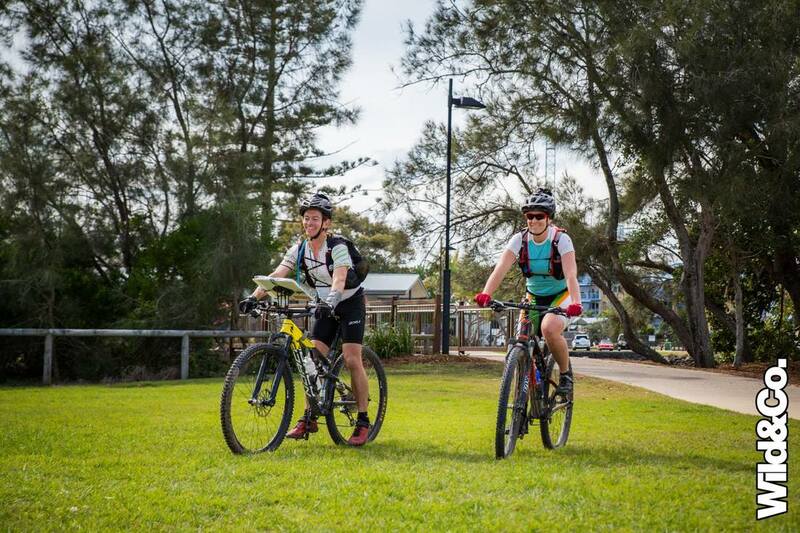 Hells Bells 24 hour adventure race on the Sunshine Coast with my amazing team mate Laura! And finally the most recent event was Grin n Bear it again at the end of August (in a team this time). You recently broke your wrist riding the Paluma Push . What happened? I was doing the 70km Comp course and had a bit of a stack with an over the handle bars experience about 40km in. My wrist seemed functional when I dusted myself off so I kept going but after another 20km it wasn’t quite so functional anymore so I had to stop. And then you went on to compete with Laura Dunstan at Hells Bells with it broken. How in Hells Bells did you do that? And can you tell what is involved in the race for those who don't know what Hells Bells is? Hells Bells is an adventure race requiring teams of 2 or 4 to navigate to a series of about 35 set control points using maps and a compass utilising various disciplines. 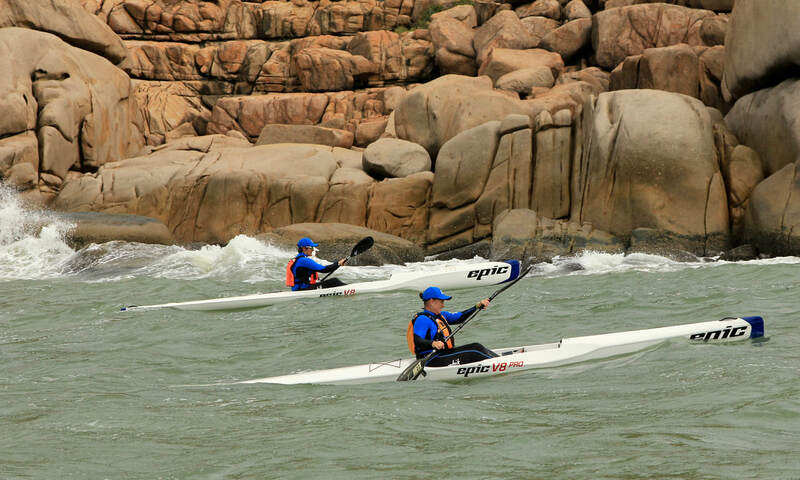 It included approximately 35km of running, 15km of kayaking and 107km on mountain bikes with a bit of a swim. We were only given the maps a couple hours before race start and had to work out how to get to where we had to go along the way and what equipment we needed to take with us in that time. We also had to pack 2 boxes with equipment including whatever clothing, food and water we would require. These were dropped off by the race organisers at set points where we transitioned from 1 discipline to another during the course of the race. So basically it’s a multisport race that requires teams to stick together and find their way with no knowledge of the course until just before it starts that they have to try to complete in under 24 hours! I was determined that I was going to do Hells Bells. We’d put a lot of time and effort into training and learning to navigate and were both really excited (and a little scared and apprehensive….) about the event. Initial x-rays on my wrist didn’t show any fracture so I just strapped it up and went! 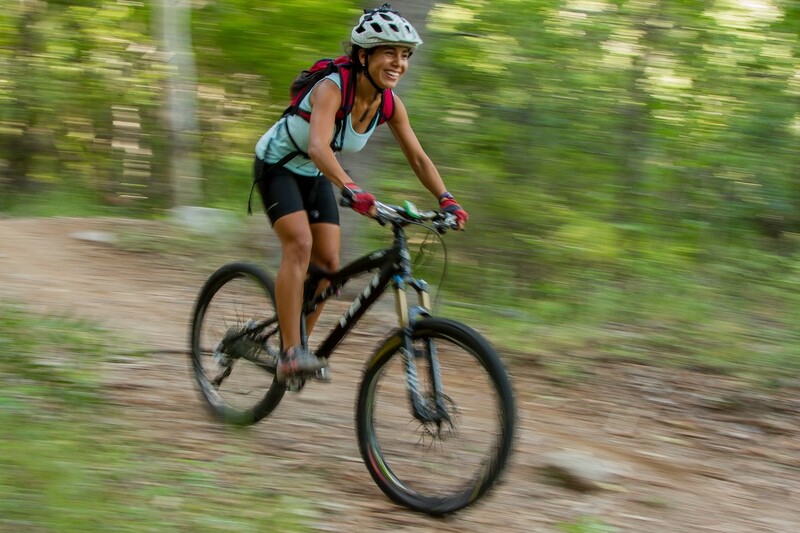 What ski do you paddle, bike do your ride and your trail shoe of choice? I paddle an Epic V10L ultra spec surf ski, ride a Norco Revolver FS 9.1 and strap my feet into Saloman S-Lab Sense Ultra trail running shoes. I am open to the concept of sponsorship by anyone though! Favourite moment at a DA event? My favourite moment wasn’t swearing copiously whilst falling out of my fairly new surf ski while Clint Robinson was enjoying my discomfort during his paddling clinic earlier this year! However we did have a lot of fun doing the team races over in Horseshoe bay the next day. I think my favourite moment was probably the night ride we did on the first Destination Adventure weekend. That was the first time I’d ever ridden at night and even though it was just a relaxed bike ride out to West Point I just really loved it! 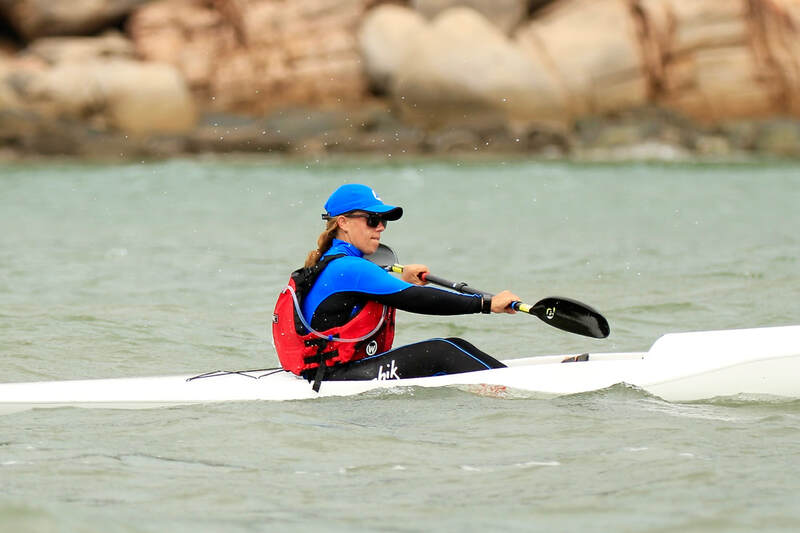 Next year I’d love to do more adventure races and of course I want to keep doing trail running, mountain biking, paddling and multisport events…. so many things to do!!! My most serious goal is probably Surf Coast Century 100km ultramarathon trail run in Victoria in September. I’d love to travel to more interstate and international adventure sport destinations and enjoy the amazing parts of the world in which we can indulge our athletic addictions! 2. Not just found in women - we all have a Pelvic Floor! And just like women, men can have issues when the Pelvic Floor is not "on game"
3. Runners: The Pelvic Floor is connected to your Diaphragm. It is part of the deep core muscles responsible for stabilising your pelvis and chest when running, bears load and is super important in breathing. If you are bracing with your pelvic floor when you run, breathing becomes compromised. 6. To quote Rhiannna "Shine bright like a Diamond" The Pelvic floor is shaped like a diamond. The floor is made up of 4 muscles that are like a sling or hammock, strung between at the front, your pubic bone, either side, your sit bones and at the back, your coccyx. May it shine bright like a diamond! 8. This will mess with your head but the pelvic floor is connected via fascia to your tongue, diaphragm, groin / adductor muscle, back of your knee, all the way down to the arch of your foot. And if there are issues anywhere along that path it can impact on the Pelvic Floor. "Wow Wee Indeed!!" I hear you say! 9. Stress Incontinence is just one signal that central stability is compromised. 10. The Pelvic Floor is not a lone wolf but part of a system of muscles of continence. ​What is your running/fitness/adventuring back ground? Was gym fit in my younger years, but struggled with a long-term illness for 15 ish years, gained about 60 kg and lost all my fitness. The illness improved towards the end of 2015 and over the next 18 months I managed to rebuild some of my fitness and lose about 40 kg. 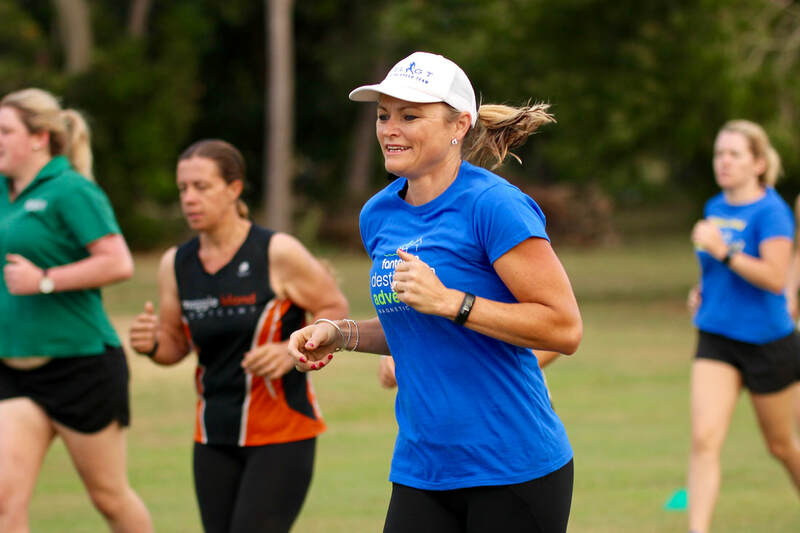 Runbirds is a running group/program (ladies only) that caters for beginners and beyond, coached by the fantastic Karey and Chris. Not only do Karey and Chris use their considerable skills to teach and guide you on your running journey, these ladies have created a unique group that promotes women supporting each other, friendship, health and fun. It truly is an amazing group to be a part of. What does Runbirds mean to you? Joining Runbirds opened up a whole new world for me, in regards to running certainly but also a world of supportive, enthusiastic, amazing ladies. Through Runbirds I have been inspired by the achievements of others, learnt running skills (mental and physical), made great contacts in the community, made new friends, gotten to know old friends better, learnt there are amazing trails, runs and events all around Townsville to explore, and discovered a world of health, fitness and fun! Oh and coffee on a Sunday of course……..
You headed over to the island with the Runbirds on the morning of Cyclone Debbie. How did you find the 10km trail hike/run/walk? You were the very first person to contact us to put your name down for The Great Island Trek!! What was it that piqued you interest? I love Maggie Island, its my spiritual home. I lived there in the 80/90’s on and off, but never did any hiking on the trails. I’m not even sure there were these amazing trails back then! So, I love the thought of seeing more of the Island. My son Jacob also loves Maggie, and grabs any excuse to get over there when he’s in Townsville, so it’s a nice bonding time for us (got to grab every chance, he is after all a teenager!) He’s hoping to bring his camera, he enjoys photography. 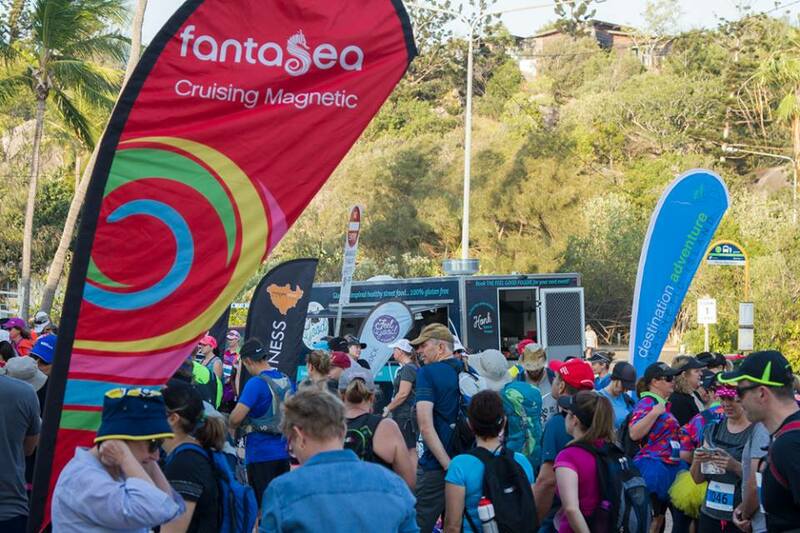 The other part I am looking forward to is all the happy energy this type of event creates for the participants, I love seeing all those happy faces – weather it’s the Runbirds crew, other friends I know are doing the trek or strangers. We are all out there with a common passion and loving the trail!! What’s next on your adventure bucket list? I told my son if I got my health back I would go skydiving with him so we are doing that in the September school holidays too (eeek!!). I hope to build up to a lot of hiking/running/biking/camping trips and outings. What adventures have you been on since we last saw you? 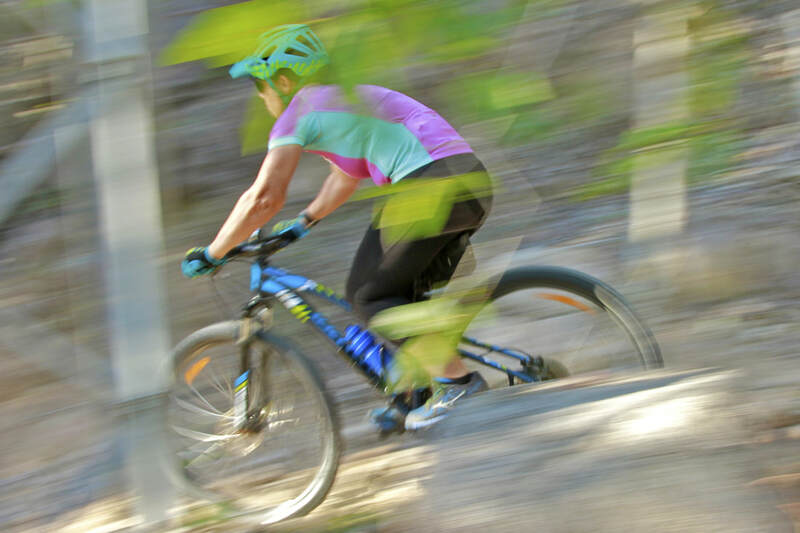 RRR mountain bike race from Mt Molloy to 4 mile beach Pt Douglas and the Elevate 8 hour race at Atherton MTB park . 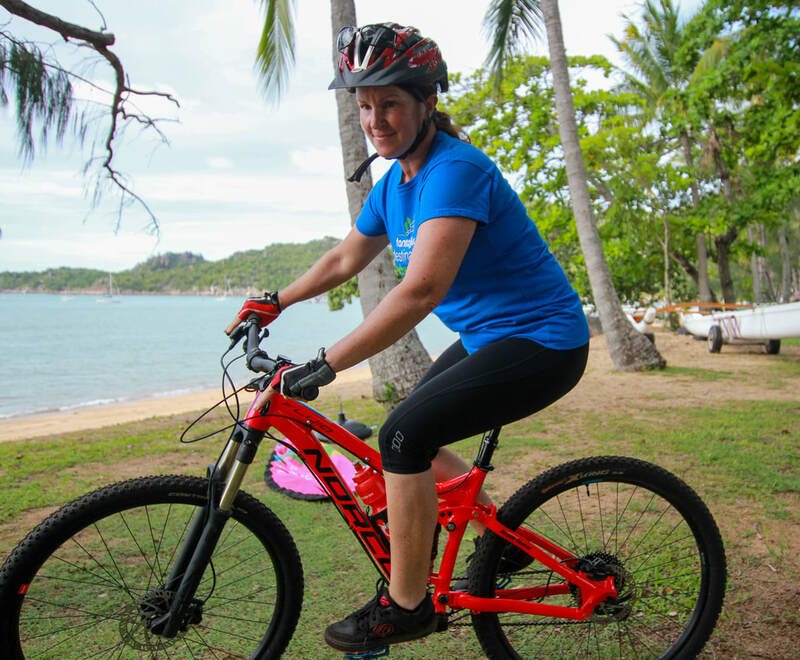 You joined us for our Womens mountain bike retreat with Ret on the island, what were some of the memorable moments that have stuck with you from the retreat? Great fun with friends. And a great chance to clock off from daily grind. 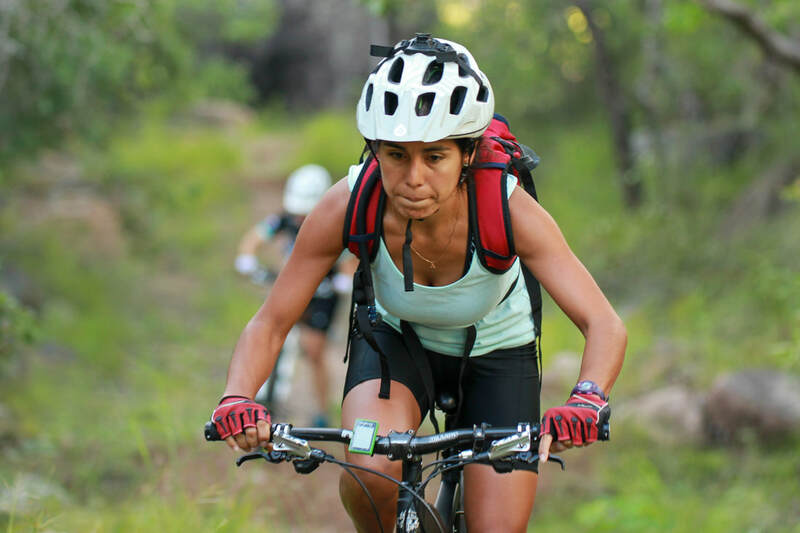 Headphones and music or au naturale when riding? How often do you get go adventuring? Get on MTB or roady at least once a week. Or more if training for an event. What's on the bucket list? NOT to take up lawn bowls any time soon. If it's dangerous, expensive and fast it's normally got my name in it. "you get in the bowl"
Karen you've been to so many of our retreats it might be easier to list the ones you haven't been to.... so here's a memory test for you - can you list the events you have attended? So I started with the first ever Destination Adventure combined weekend which introduced me to some truly amazing people. From Paddling with Clint Robinson, Mountain bike (and sand riding) skills with Andy and Running with Sid Willis and Steve Moneghetti (including one far too memorable face-plant on the Mandalay Track directly in front of the man himself), more Trail running with Sid, the women's Mountain biking with Ret Howarth, a full on weekend with Clint and I may have snuck in for a part of the next Mountain bike weekend and a run with Melinda Gainsford Taylor plus things like the Glute and Mobility workshop, the Island Deck Party and random video shoots in some spectacular places. What's the most memorable message from the retreats? ​While each one is different, with different skills and different people no matter what you're doing, at whatever level you're at, enjoy it - we do this for fun as well as for fitness - be prepared to push your limits a little and give anything a go you might just surprise yourself with what you can do. Aside from the skills you gain, the people you meet that take part in these events really do make them something special. People looking at you now may not release that you've haven't always been this active - can you tell us where you were not that long ago? A few years ago I weighed in at 120kg and did nothing but work. I wouldn't have been able to run more than half a km, hadn't been on a bike in almost 16 years and had paddled a canoe in a river maybe twice on school camps. Currently 40 to 50 kg lighter (depending on the training I'm doing) I can take on a 70 km multisport race and know I can cross the finish line with a smile, I have so many new skills I'd have trouble listing them all and a whole bunch of wonderful people I never would have met if I hadn't got involved in all these crazy adventures. Do you have a favourite discipline? 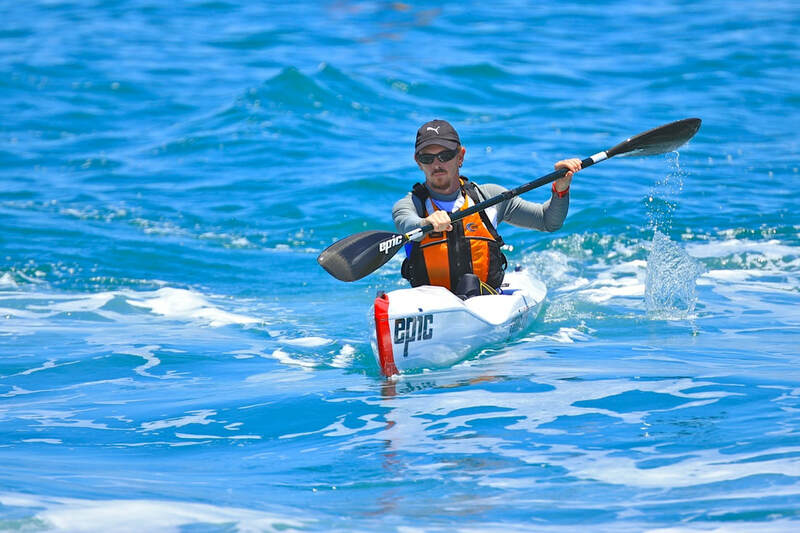 ​My next challenge is back to multisport with On-A-Mission, up at Mission Beach in September. Can you give us one piece of advice about the Destination Adventure retreats? Thinking about attending? Book now, there's nothing worse than going to sign up and finding out it's full up. ​You really don't want to have to hear how great it was from someone else. 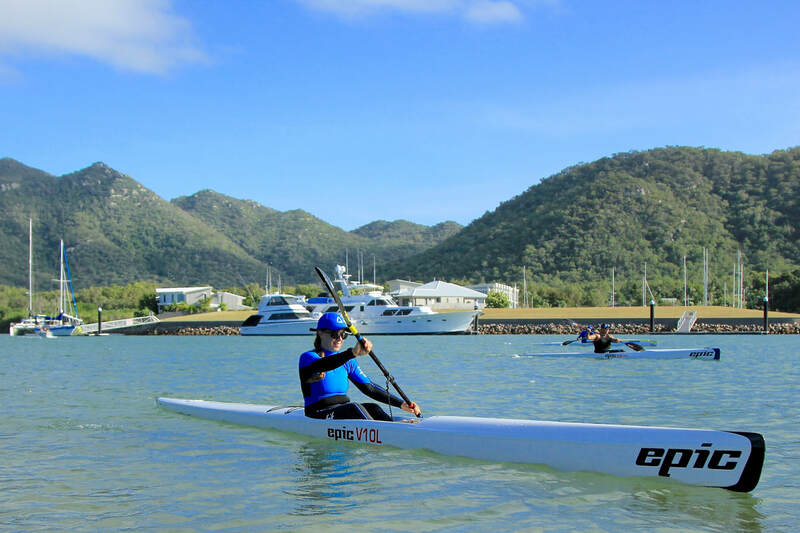 What made you decide to come to Magnetic Island for the Clint Robinson Paddle Retreat? What were the key take home points that you took from the weekend? a) Meeting the Destination Adventure team and a rockstar line up of fellow paddlers. Well, I came to Maggie Island to work on technique. I then went to Ningaloo Reef in WA a week later to put skills into practice with a week of downwind paddling in another gobsmackingly gorgeous location with an awesome group of folks - Dean Gardiner - the king of downwind paddling, and an awesome group from Ocean Paddler. ​Then, the big one...the Mauritius Ocean Classic! My word....that was so far out of my comfort zone there are not enough words!